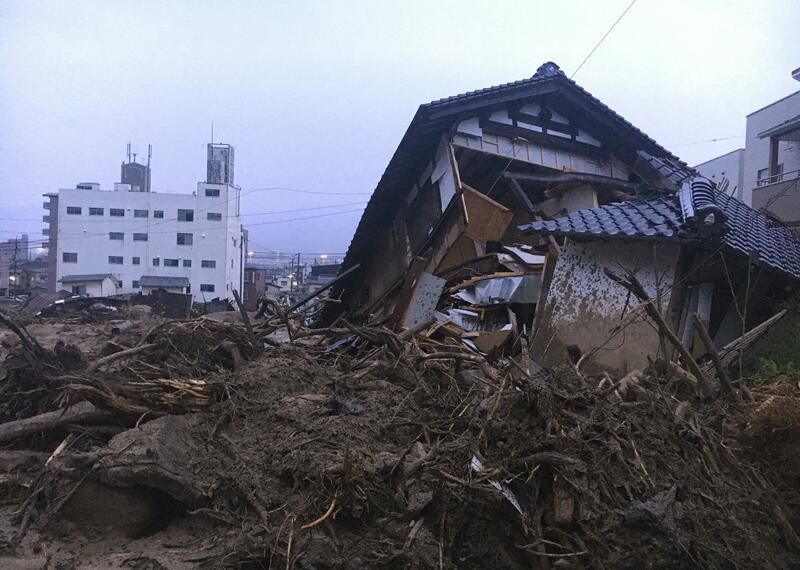 TOKYO – The Japanese government says at least 100 people have died or are presumed dead from the heavy rains, floods and mudslides that have struck western Japan. Suga said 54,000 police officers, firefighters, and members of Japan’s Self-Defense Forces and coast guard had been mobilized in the rescue effort, Kyodo reported, with TV footage showing them using boats and helicopters to bring people to safety. Published: July 8, 2018, 10:51 a.m. Updated: July 8, 2018, 10:24 p.m.